Today in our series of FullStory customer use-cases we hear from Alex Myers, Head of Marketing at Zenstores. If you’re not familiar, Zenstores is a platform that helps e-commerce businesses manage sales distribution and understand sales trends. Zenstores puts FullStory to work across their organization for customer support, app development/UI, and marketing through allowing Zenstores to step into the minds of their customers through session playback. Below, Alex tells us all about it. Read on! Our customers at Zenstores are busy online retailers and our software is a critical part of their dispatch process. That means that when they have an issue we need to solve it asap to prevent disruption to their operation. Our primary support channels are email, phone, and in-app chat, all of which are limited by the fact that our understanding of the problem a user is facing is dependent on their ability to clearly explain it. Ideally, we’d want to be in the same room as the customer, seeing what they’re seeing. We resolve many of our customer support inquiries in half the time we used to thanks to FullStory. We can watch a customer using our app, see the context of the issue they encountered and formulate clear advice on how to resolve it. Our goal at Zenstores is to continually iterate our products to make them as intuitive and valuable to our users as possible. Before using FullStory we combined user interviews and small-scale in-person user-testing with quantitative data such as heatmaps and event based tracking of how users were engaging with our product. This worked OK but our qualitative methods always felt like we were at arms-length from our users, and quantitative data is inherently impersonal. By adding FullStory to this mix we have a way of conducting unbiased user-testing of our products at scale without having to be physically looking over each user’s shoulder. This has enabled us to spot common UI issues incredibly quickly, as well as uncover some niche behaviours that with follow-up customer interviews have unearthed interesting applications for our products that we’d previously never considered. Like any SaaS product Zenstores has a variety of carefully considered conversion funnels to our free trial sign up that we’d like prospective customers from different acquisition channels to flow through. FullStory gives us the ability to see exactly how a user did or more importantly didn’t flow through that path the way we wanted. I think the word ‘flow’ is important here, because while analytics-focused tools give you exact data around conversion rates across every micro-step of a users’ journey, they don’t give marketers the whole picture. They don’t capture that mouse movement towards the pricing page before the distraction of a newsletter signup modal appears, or the clicks on an element that isn’t a button, but according to the user looks like a button. They don’t capture the long pause over a paragraph of copy or a graphic that’s clearly left them confused. 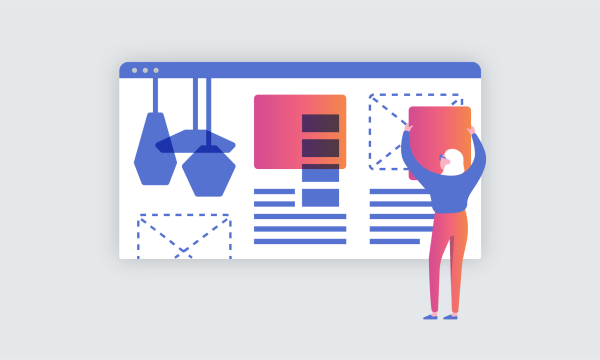 FullStory lets you see these nuances of a user’s flow through your carefully constructed landing pages in a way that feels very human, and for a marketer trying to find the best way to engage with an audience, that’s incredibly valuable. FullStory here. We are happy to hear from Alex how FullStory is doing so much for Zenstores — whether it’s saving time in customer support, lending an unbiased look at app usage, or providing a much-needed human look at conversion funnels!